Recently, Karen and I went to a blogger dinner at Seasons 52 and not only was it delicious, but also I was so impressed with how accommodating they were of my gluten-free needs. Not all restaurants are there yet. And it got me thinking: eating out gluten-free can be challenging at times — but there are certain things you can do to help make it better, for everyone. 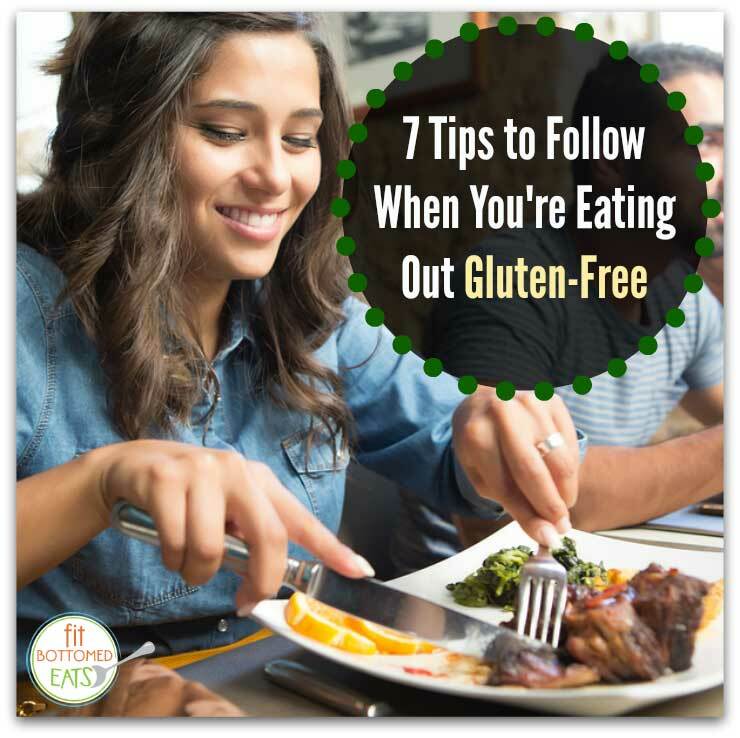 After my three-plus years experience eating out gluten-free, here are my tried and true tips! 2. Give them a heads up. All servers and chefs appreciate a little time to prepare for your special dietary needs, especially if their menu needs to be tweaked (this is particularly true at high-end restaurants — see this amazing example). So if you’re going somewhere, do let them know specifically if you’re celiac or gluten sensitive. Is there any gluten in your sauces or dressings — or soy sauce (soy sauce trips a lot of places up)? Are there any spice rubs or seasonings on the food — are those gluten-free? Do you have separate work stations and are gloves changed when working with gluten-free dishes? 4. Be extra nice. Let’s be honest; you are kind of a high-needs diner when you’re eating out gluten-free. So be extra, extra nice and be sure to thank your server and the chef/restaurant staff for their attention to detail. 5. Be clear about your requests. If you’re tweaking a menu item that has gluten in it to not have gluten, be totally clear on what you need to happen. For example, if the meal is steak and frites, order it as “steak with no rub, subbing a plain baked potato for the frites.” Then, thank them again. 6. Tip well. This goes without saying, but pay your server well. They went above and beyond for you and your dietary needs, so pay them accordingly. Consider it good-food karma. 7. Spread the word. Did you have a great gluten-free experience at a restaurant? Tweet or Instagram about it and tag them! Tell all your g-free buddies. The restaurant will be thrilled to have the feedback and exposure — and you may find it even easier to eat gluten-free the next time you’re there.